Home / Blog / Shipping Blog / eCommerce Shipping Trends / What Is Fulfillment By Amazon(FBA) and How Does It Work? What Is Fulfillment By Amazon(FBA) and How Does It Work? 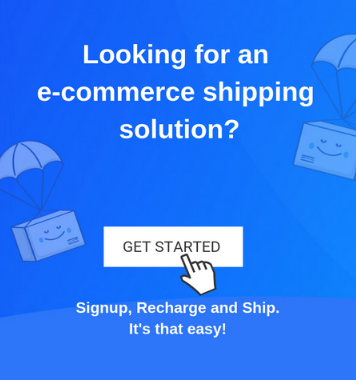 In our previous blogs, we have talked at length about Amazon’s various fulfillment techniques like Amazon Self Ship, Amazon Easy Ship and also what benefits you can derive if you ship using Shiprocket when you opt for Amazon self ship. There is one segment which we are yet to cover — Fulfilled By Amazon. This blog talks in detail about FBA, it’s benefits and whether it is the right call for your eCommerce business. What is Fulfilled By Amazon? 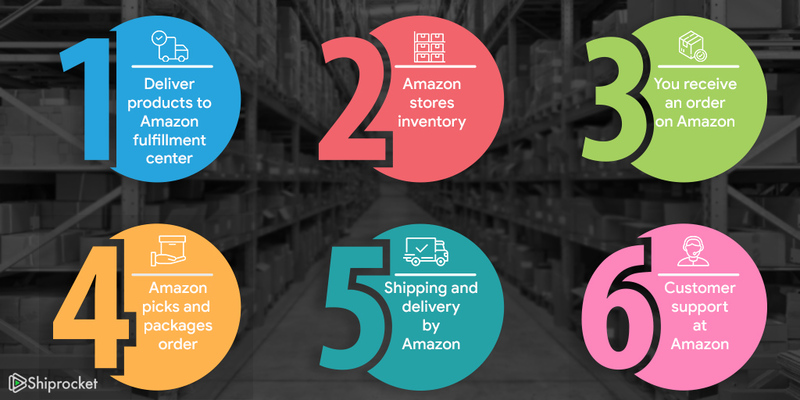 Fulfillment by Amazon, as the name suggests is Amazon’s order fulfillment model where Amazon takes responsibility for inventory management, storage, picking, packing, shipping and customer service for your orders. Your role is to deliver your products to Amazon’s fulfillment center. With Amazon FBA you can leverage their marketplace, world-class fulfillment services, more options for delivery, and critically acclaimed customer service. You are also enrolled in their Prime program once you sign up for Amazon FBA. Therefore, with FBA and prime, you are eligible for free delivery, one-day delivery, and same day delivery. A survey by Amazon pointed out that 86% of prime sellers reported an increase in sales once they shifted to FBA. Next, Amazon stores your inventory and manages every product you provide to them. When you receive an order on your marketplace, Amazon picks the order, packs it and ships it to the customer. In case of any query regarding the delivery or the product, Amazon’s customer support team is responsible for catering to the customer’s concerns. You then send more products to the fulfillment center, and the cycle continues. With a company like Amazon, taking care of operations like inventory management, picking, packaging, and customer service, you can quickly focus on other aspects of your business like procurement, marketing, and sales. Since the former operations take up a lot of time, growth and innovation take a backseat, and you tend to lose the competition. But with FBA you can focus on growth. Shipping takes up significant time and resource of any eCommerce business. As eCommerce logistics is a separate entity all together, you have to give it a substantial chunk of your plan. But since in FBA, Amazon looks after the shipping via their logistics network, ATS, you can point your resources directly at other segments of your business and also save on shipping and workforce. Since you do not have to arrange for storage and handling of goods, you save on investments in other assets like a warehouse, packaging material, loading and unloading equipment, etc. This step saves you the right amount of time and costs and gives you an opportunity to explore other areas in your business. Amazon’s FBA pricing does not require you to pay them any extra subscription fee or set up charges for using FBA services. You pay a fixed closing fee, fulfillment fees, removal fees and disposal fees for every item. When you sign up for FBA, you are given Prime for free. With this, you get to offer your customers expedited shipping options like the same day, one day and two-day delivery. This option gives you an edge over your competitors and adds value to your store. 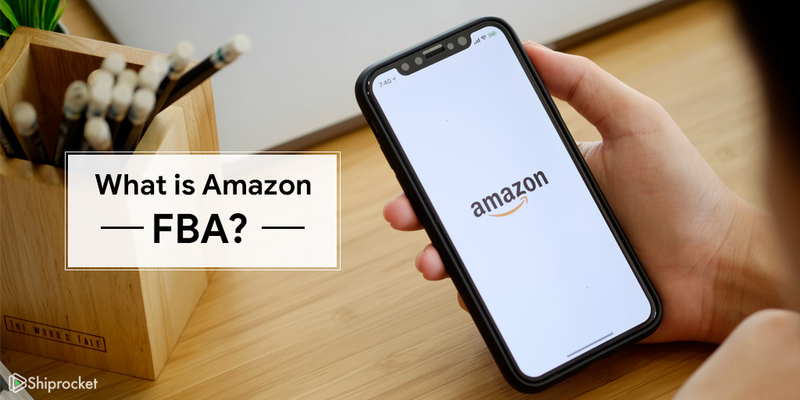 Amazon promises improved exposure for your products when you choose FBA, this way your products are displayed first on search results in Amazon, and you get to sell to a vast audience that shops from Amazon. With Prime and FBA, you get the benefit of giving your buyers the option of paying for the product when it arrives. This payment method is also popularly known as Cash on Delivery. In a country like India where eCommerce is still in its nascent stages, pay on delivery goes a long way in increasing trust among buyers. Use these pointers and decide if FBA is the right call for your business. If not, you can opt for other options like easy ship and self ship!